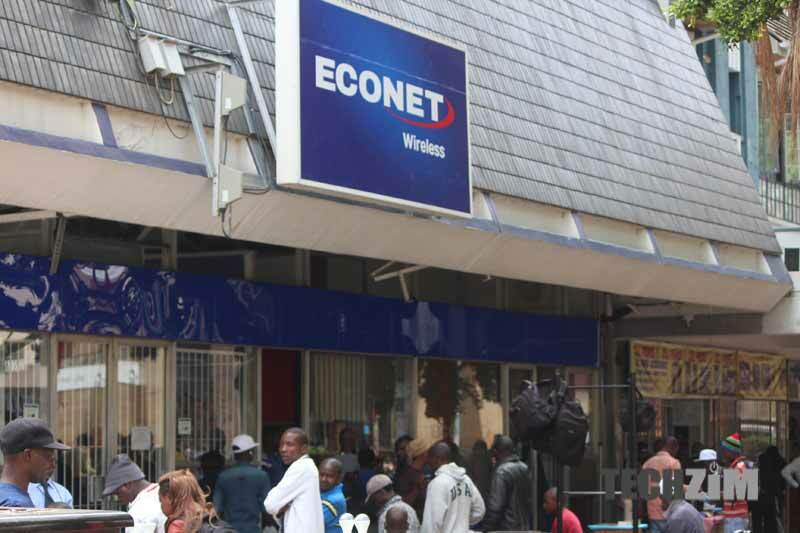 Econet Wireless Zimbabwe – the country’s largest mobile network operator, and some ZIMRA bosses are alleged to have connived in the evasion of taxes and externalising of cash between 2009 and 2013. An article published in the Sunday Mail highlights these allegations and points to a forensic audit report compiled by HLB Zimbabwe Chartered Accountants signed off in October 2016. The report is sad to have stated how Econet allegedly imported dutiable goods without paying taxes. It’s alleged that this is after Econet took advantage of a tax exemption on base stations and brought in other equipment and declared this as duty-free under the same exemption. The report also alleges that Econet would overstate prices of components it was buying from Econet Capital – its sister company based in Mauritius. ZIMRA executives, including the suspended Commissioner-General Mr Gershom Pasi, Mrs Florence Jambwa (director of legal and corporate services), Mr Tichawona Chiradza (commissioner, investigations and international affairs), and Mrs Anna Mutombodzi (commissioner customs and excise) have been cited in the same audit report with recommendations for action to be taken against them. This isn’t the first time that Econet has dealt with this tax scandal. It was first brought to the public’s attention in 2014 after the case’s whistleblower Mr Edward Mutambanadzo took issue with the fact that the information he provided hadn’t been acted upon and that he hadn’t been paid the 10% commission for exposing the scandal. At the time Econet dismissed the allegations as false and also highlighted complications with the way imported base station equipment had been classified by ZIMRA. Econet has also dismissed the allegations this time around, stating how the matter had already been brought before the High Court after ZIMRA had sought to garnish US$67,9 million from its accounts. Part of this figure, which was a US$47 million penalty imposed by ZIMRA had been set aside by the court. Since Econet had imported base stations in the same way that other operators did it has objected to retrospective duty on its own base stations citing how other operators aren’t subjected to the same conditions. Techzim has sought further clarification from the operator and is yet to get any comment. this government is pathetic, is econet the only company in Zimbabwe, everyday u just want to take money from them. The more u persecute masiyiwa the more blessings he gets from the almighty. timu yakabaiwa bhururu bondi noti harisi kubatika zvekumhanya yeti bhavhadheyi remukuru rwaswebera! Kozotiwo sarudza yoswedera mari hapana. It looks like the corrupt people walks freely in Zim and now are not ashamed to advertise their activities. How is this Econet’s problem? Edward Mutambanadzo was employed by Econet to do the clearing, how he cleared the equipment is non of Econet’s business. He is the one who received the goods and falsified the documentation. He had someone inside Zimra helping him to do this because every high valued goods are inspected by Zimra to make sure that correct amount is paid. I once refused to pay my clearing agent for greasing money and he inturn refused to clear my car, he just received it and handed me the paperwork saying he was busy in Bulawayo that day. But l met him all day at the border with loads of paperwork clearing for other people who agreed his scam. This is a marriage of convenience, Edward Mutambanadzo who is trying to cover his corruption by turning a whistleblower and government(Mandiwanzira) desperate to nail Econet. If Econet were to be at border receiving and falsifying papers, then they didnt need Edward to duplicate the same job again, what for? Make them pay Comrade Supa, make them pay!! vajaidzwa vanhu ivava veEconet, gore rino vanochiona!! Hello outstanding blog! Does running a blog similar to this require a large amount of work? I have very little expertise in coding however I had been hoping to start my own blog soon. Anyway, if you have any ideas or techniques for new blog owners please share. I know this is off subject but I just needed to ask. Kudos! I’m very happy to find this great site. I wanted to thank you for ones time due to this wonderful read!! I definitely savored every bit of it and i also have you book-marked to see new stuff in your web site.